SUNDERLAND EATERIES are celebrating a boost in business after another successful Restaurant Week. 40 restaurants and cafes took part in last month’s (March) Sunderland Restaurant Week, organised by Sunderland BID, reporting on average a 40 per cent increase in midweek trade. And organisers have revealed that the week-long event, where diners download a voucher to eat at a discounted rate in a number of Sunderland eateries, had an economic impact of more than £170,000. Diners looking for a great deal downloaded more vouchers than ever before, with a 15.5 per cent increase from previous events. 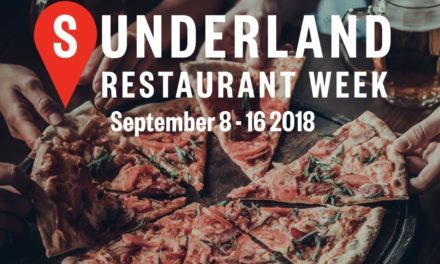 Since it began in 2016, Sunderland Restaurant Week has contributed more than £1m to the city. Ian Wong, who owns Asiana, one of the top five most-visited venues during the event, said: “We have been involved in Sunderland Restaurant Week since day one and it’s fantastic to see it go from strength to strength, with more traction building on the successes of previous years. Sharon Appleby, head of business operations at Sunderland BID, is delighted that more and more people are getting on board with the scheme. “Restaurant Week is the perfect opportunity to showcase the city’s vibrant food and drink scene and get people to make the most of local businesses, which then makes a lasting economic difference to the city,” said Sharon. “We’ve had some amazing feedback from both the restaurants involved and from diners who took advantage of the offers and I am delighted that it been a successful venture for both sides. For more information on Sunderland BID, visit www.sunderlandbid.co.uk.